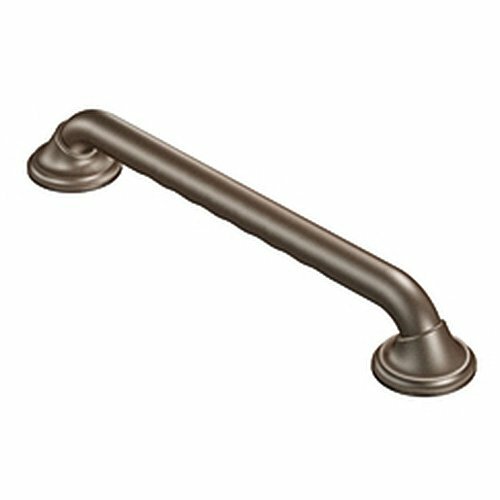 Safety and style reach an elegant balance with the Moen 24-Inch Designer Grab Bar. This ADA grab bar supports up to 500 pounds and features discreet finger notches for a comfortable, secure hold--whether you're showering, bathing, or using the toilet. Its SecureMount design allows for easy, secure installation at any angle. Thanks to its durable stainless steel construction, this bath grip provides lasting performance. The old world bronze finish incorporates the warmth of bronze with light and dark accents, creating a rich look.